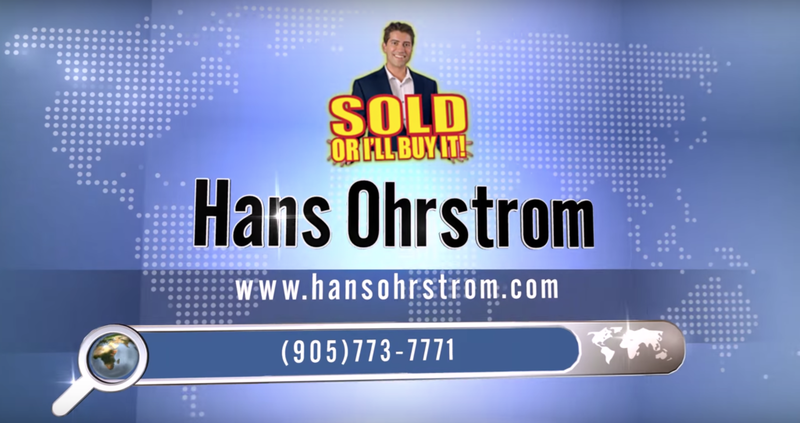 Hans Ohrstrom, a broker of record at the Toronto-based HomeLife Eagle Realty, failed to sell a home and then sent his client commission bills for tens of thousands of dollars, according to a story published by Global News. In April 2017, Marlene Nemeth went to HomeLife Eagle Realty for help selling her house north of Toronto and, by May, signed off on an offer for $900,000 from a buyer that the brokerage helped find. As part of the deal, the buyer, Sayed Moussavi, would give Nemeth a $40,000 deposit and later the full $900,000, insisting on a long closing period of 120 days. A document shown to Global News said HomeLife Eagle Realty did not represent Moussavi but did provide him with “customer services” — an arrangement that is legal but discouraged by real estate regulators in the province of Ontario. After 120 days passed and Moussavi didn’t transfer the money, listing agent Nina Bonakdar told Nemeth he had financial difficulties and asked her to consider giving him an extension over text message. Two months later, Nemeth still hadn’t received the promised money and agreed to Moussavi’s request to release him from any legal action in exchange for the original deposit and $2,500 in damages. She had already moved into a new house and was paying for two mortgages. But just as Nemeth prepared to move on and look for other buyers, she received a bill from Ohrstrom for $45,765 in February 2018. After Nemeth refused to pay it based on advice from a lawyer, he sent two other revised bills — one for $30,510 and one for $25,000 and taxes, which would qualify the case for small claims court. Ohrstrom did not respond to multiple phone calls and emails from Inman. “HomeLife Eagle Realty Inc. had a signed listing agreement with Ms. Nemeth, which provides that our commission is payable upon acceptance of a satisfactory offer, even if the deal doesn’t close, especially in circumstances where the seller bears some responsibility for the failure of the deal to close,” Ohrstrom said in a statement released by his lawyer to Global News. His lawyer further went on to argue that Nemeth had shown “default or neglect” by releasing Moussavi from the deal. Aside from pursuing the case for his commission, Ohrstrom also hired a defamation lawyer, Howard Winkler, after Global News first started sending requests for comment on the case in June. A case in which a broker receives a commission without making the sale or, much less, sues the client for it falling through is highly unusual — the closing is seen as an essential part of the agent’s job. Since then, Nemeth has filed a complaint against Ohrstrom and Bonakdar with the Real Estate Council of Ontario — a settlement hearing has also been set for Sep. 18. Another brokerage sold Nemeth’s house a year later, at a much lower price of $699,800.